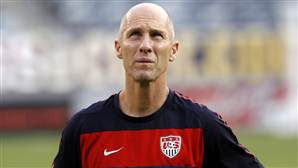 Bob Bradley was fired as coach of the US national soccer team today. When the referee called full time at the 2011 Concacaf Gold Cup with the Mexico team up 4-2 on the United States, some of us out there thought his days were numbered. But nothing happened. Days passed and international friendlies were announced (versus Mexico on the 10th), Copa America started and the US ladies made it to the final. But today was different. A day after the thrashing of the MLS All-Stars at the hands of Manchester United, a symphony of news flashes gave us word that US Soccer had severed ties with Bob Bradley. But why not sooner? Time for searching and hiring a new man for the job? And yes, it seems they have Bradley's successor already with a "further announcement" on Friday. Let's reflect a bit on today's events. What were the pros and cons of Bob Bradley? To start, his record was 43-25-13, winning a Gold Cup title, finishing in second place at the Confederations Cup and in the final 16 at the World Cup after winning the group over England. Also to his credit: the blossoming of Donovan and Dempsey, solidification of Michael Bradley, Onyewu, Howard and Bocanegra, and the addition of game-changers like Altidore, Agudelo, Jermaine Jones, Bedoya and Timmy Chandler. All in all, quite the resume. Conversely, the national team has become quite stale after the World Cup and a 5-4-4 record this year. There is no inventiveness on the pitch and his tactics have been eviscerated by opposing squads. Do credit Mexico on their win, however. Their "golden generation" has come to life and, somehow, a run at the World Cup semifinals in 2014 isn't out of the question. But back to Bradley. In reality, second term coaches (1 term being a world cup cycle) never quite do well in their reprisal as managers of national teams. A national soccer team is a completely different animal from club competition in soccer and, for that matter, other sports. There are only limited times in which you have your players each year and individuals that are central to the national team may not be playing at all for their club sides. Just the length of time alone does away with continuity. There's no "rebuilding season" or even "relegation battle." Other examples abound: Bruce Arena (2003-2006, early exit from 2006), Marcelo Lippi (Italian champions in 2006, eliminated in group stage in 2010), Sven Goran Erickson (English team became stale and lost flair in 2006). So it's a new beginning for US Soccer. Who will be our coach? Juergen Klinsmann? Guus Hiddink? Sigi Schmid? Jason Kreis? Carlo Ancelotti? Marcelo Lippi? Claudio Reyna? All good candidates but my preference is a foreign coach right now. Someone that understands the larger scale of things. Jason Kreis is food for thought but I'd like him to have a few more titles and seasons with Real Salt Lake. Right now is too soon for the international arena. Collegiate experience, such as Arena had as a coach in college soccer, can only take us so far since a vast majority of our players are now in world-renowned teams and leagues. Arena and Bradley took this style of coaching to its very limit and with pleasant results. But a new line of thinking is needed. So, we bid you adieu, Coach Bradley. You made us proud and made us believe. You brought us exhilaration, consolation and fantasy. We thank you for your hard work and we know you'll succeed wherever you go. No hard feelings either. Sometimes you just have to say "time's up." An unlikely final, perhaps. Uruguay and Paraguay would decide where the South American crown would go today. Uruguay won it with style, grit, passion and golazos. When the score is 3-0 you know something special happened. 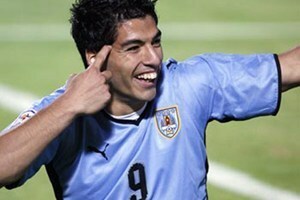 For Uruguay it was Luis Suarez, perhaps one of the best forwards in the world, that really won the tournament for them. Behind him is Diego Forlan, a classy player and top scorer at last summer's World Cup in South Africa. This tandem, coupled with players like Lugano and Perez and with a solid goalkeeper in Muslera, comprised the most complete team in the 2011 Copa America. The match was thoroughly controlled by Uruguay from start to finish. A near miss in the first 5 minutes where a Paraguayan handled the ball on the goal line brought back memories of Luis Suarez's game-saving handball against Ghana in last year's World Cup. But Suares is a different person now. His speed, agility and soccer intelligence brought the first goal after he unmarked himself from the defender and sent a shot past Villar. He also had a hand (a head, actually) in setting up Diego Forlan's final goal with a superb pass. This final was also Diego Forlan's return to the big stage. And he did so in style. Two goals to finish Paraguay and give Uruguay its 15th Copa America title. Forlan was a master in midfield today and his goals came with power (first) and simple placement (second). The always physical Uruguay defense had a similar foe today in Paraguay (South America's Italy). Perez again showed his knowledge of the defense to break up plays and intimidate the opponent. Arevalo and Caceres were pivotal in their roles and, along with Lugano, prevented Paraguay from settling into a rhythm. Congratulations, Uruguay. You deserved the Copa America today. You also showed us that South America isn't just about Argentina and Brazil, Messi and Robinho, Neymar and Huguain. Uruguay made the semifinals of the World Cup 2010 for a reason and today they showed why they are the top team in Conmebol. Let's not forget that they won the first World Cup in 1930 and defeated Brazil in 1950. Somehow, the feeling of another "Maracanazo" is quite palpable. They already beat Argentina at their Copa America. Right now, with the way they are playing, this Uruguay team could top Brazil in 2014. No Argentina in the semifinals due to a penalty kick decision versus Uruguay. Okay. It happens. It's Uruguay, the 4th place team from the 2010 World Cup. Colombia gets upset in the quarterfinals by Peru. Big surprise but, again, it happens. But Chile loses to Venezuela? And Brazil exits prematurely in penalty kicks against Paraguay? Okay, now we're onto something. Craziness. Plain and simple. But give credit to the "smaller nations" of South America. Peru has been in the sidelines for decades. It's about time they rekindle their 1970s form. Then there is Venezuela. The country heavily favors baseball over any other sport. Same goes for the US, but this is South America, football continent. And yet, if you look at the different players in this Venezuela side you come across names like Cichero (Newell's, Argentina), Arango (B. Moenchengladbach, German Bundesliga), Vizcarrondo (Once Caldas, Colombia), Giancarlo Maldonado (Atlante, Mexico). These are quality players in good leagues. They are bound to have good fortune in international tournaments. The question then becomes: is parity that much closer in South America? Do big teams like Argentina and Brazil still exist? The answer is yes and no. Yes, because these teams have stars like Messi, Robinho, Neymar, Huguain. No, because their winning formula can no longer be intimidation due to name. Bolivia will find a way to close spaces on Messi if they man-mark him. Argentina becomes just another team with big stars. Brazil can have goal leads in their games erased by poor goalkeeping and spotty defending in a tournament that they feel they already own. Not anymore. Big names in the defense don't mean much if the players don't confront a game in a professional manner. This is true international football. The opposing squads no longer fear the "big teams" because they have their own "big players." It's a new kind of mano-a-mano. And what of Chile? Once Argentina and Brazil went down, many of us out there thought this might be Chile's tournament to win. But the Suazo - Sanchez tandem couldn't score more than 1 goal on Venezuela. And the "vinotinto" found a way to score two. Just like that. It's wide open now. Even though critics like Andres Cantor may feel the current top 4 in South America aren't worthy candidates to the title, it's clear to say the he, along with most of us in soccer world, have been taught a lesson. Respect. Plain and simple. Meant to be. Not meant to be. Those were the shades of fate today at the 2011 FIFA Women's World Cup. Heartbreak. Emotion. Redemption. Japan walked out as world champions for the first time, and deservedly so. Not meant to be for the US soccer team. The chances came and went throughout the first half. What could have been a score of 2-0 ended up tied scoreless. Alex Morgan's goal midway through the second half was almost enough. But not today. Not meant to be for the defense today. Alex Krieger and Buehler didn't compact themselves enough and their casual clearance of an impressive Japanese attack was what gave way to the tying tally. Not meant to be for Abby Wambach. She tried and pushed and got the go-ahead goal in the second period of extra time. Header. Perfect. But not enough. Japan tied the score with 4 minutes to go thanks to a misplaced bounce off our star goalscorer. 2-2. Penalties. Not meant to be for Hope Solo either. Our superb goalkeeper wasn't tested enough by Japan for most of the game. This would have an impact as the game wore on. A slight injury in the overtime occurred right before Japan's tying goal. Her usual resolve was tested in the penalties and today she let one slip past her that could have made things interesting. She's only 29. Expect her at the Olympics and at Canada 2015. Meant to be for Japan. Yes, today you could sense it. They were the lovable underdogs with a special cause. It was hard to imagine how the world wouldn't be cheering for the "blue samurais" today. Their country has seen such pain and agony this year. And they dedicated their fighting spirit, their resolve, their goals, and their title to the nation they love. And we applaud them for it. Congratulations, Japan. Today the world cheered with you. It was simply meant to be. Courage. Resolve. Class. Teamwork. Relentlessness. 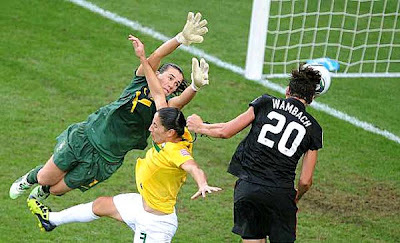 The US women's national soccer team advanced into the Germany 2011 World Cup final with a thrilling victory over France. A precious gift to American soccer fans in such dire need of a victory. For the ladies, it is self-respect and recognition that they are one of the better sides in women's soccer. Today it Cheney, Wambach and Morgan scoring. The old guard giving way to the new. Abby ruled the air as she so often does and scored the game-winner with style. Cheney started things off early, much like the Brazil game. But France pressed and eventually tied the score in the second half. After Wambach's score it was a little bit of magic from Rapinoe to Morgan. The youngster had a flash of genius and chipped the ball over the French goalkeeper. For the second game in a row, Wambach showed us why she's the go-to player for clinching goals. Today their defense was stout with Krieger and Boxx. Hope Solo always an asserted general in the background. Rapinoe provided the second half spark that every supersub has to bring. Up next is the enigmatic Japan. The Japanese have knocked off two soccer powers in Germany and Sweden. They have also lost two matches to the US in warm-up friendlies before the World Cup. But this is the final and they will be carrying the hearts of a nation that has seen so much pain in recent months. The key will be concentration and possession. This is to thank the ladies for giving us a bit of fantasy with every play. Thanks to you, US Soccer is back in the final with a chance to win it all for the third time in history. Somehow the USA can't script their soccer better. Last year it was Donovan's goal in stoppage time at the men's World Cup. This year it was Abby Wambach in the 122nd of overtime to tie the match against Brazil to send it into penalties. It was poetic justice in so many levels today. The score was opened in the third minute by Diana in an unfortunate own goal for the Brazilians. She would miss her penalty later. Poetic justice because of fraudulent calls that gave away Brazil's goals and yet the USA still won the game. Having looked at the replay, the American Rachel Buehler went for the ball and contact with Marta was incidental in a close call that could have gone either way. It was the tying penalty for Brazil. Hope Solo saved the first shot but the play was disallowed because an American player ran into the 18-yard box before the penalty was taken. Marta put away the second kick. Poetic justice for the fighting spirit against both Brazilians and bad refereeing. Marta's second goal (a beauty, by the way) came out of a play that should have been called back due to an obvious offside. Later on Erika would fake an injury and this added 3 extra minutes. These extra minutes allowed for Rapinoe's pinpoint center and Wambach's wondrous header to send the game to penalties. It was poetic justice for the fans as well. The ESPN crew with Julie Foudy and Brandy Chastain screamed along with Ian Darke's call when Wambach scored the tying goal. Us fans throughout the world and at the stadium had been yelling at the screen for all the missed calls. But our disappointments were erased by the teamwork that USA players are known for. The stadium never gave up. The players put their hearts on the field. Their spirits never crumbled. And at the end, when things had gone so wrong, they believed in themselves and poetic justice was served. This is supposed to be the new Ecuador. A mix of young talent and the old vanguard. Speed and experience. But they have fallen short. Again. There's a saying in Ecuador: "jugamos como nunca pero perdimos como simpre." Which means "we played our best but lost like always." It's a stigma from the days before the 2002 World Cup qualification. A soccer nation with potential but disappointment. Should it still be like this? Today's loss to Venezuela was more of the same. Lack of finishing touch, lax defense and missing players, most notably Antonio Valencia. The Manchester United stalwart was injured in the 0-0 tie with Paraguay and couldn't take part in today's match. But there are a few interesting names left off this team completely: Jefferson Montero, Fernando Guerrero and Joffre Guerron. These are young players, yes, but they play for important teams and are capable of special things with the ball at their feet. It's difficult to watch a match in which Christian Benitez has to come back for the ball and where Walter Ayovi has to play defense and be the creative force behind the team. 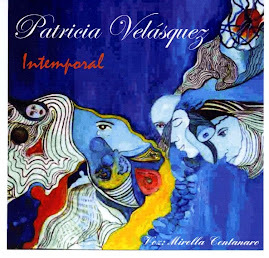 There is a certain new paternity that Venezuela has on Ecuador. Venezuela? Really? Yes. Twice they beat Ecuador in the 2010 qualifiers. Just one of those matches cost the qualification as Ecuador was behind Uruguay by just a solitary point at the end. So is Reinaldo Rueda to blame? Ecuafutbol? The players? Possibly the first two. This is a talented squad that only needs a little nudging in the right direction to reclaim its place in the top five of South America. But right now the ball isn't rolling. And that's what Reinaldo Rueda's last name means: rolling. Can Ecuador beat Brazil? The Cariocas have tied twice already in this tournament. I find it hard to believe they will do so again. Until then, Ecuadorians will keep dreaming about the magic of 2002 and 2006 with no clear way forward. Not yet. Copa America or not, MLS must continue. Now with most of their players in hand, the league continues to see strong attendance, especially over the holiday weekend with sold out venues from LA to Dallas and San Jose to Colorado. Kansas City's form stretches not only through its impressive unbeaten run but also to its shining new home at Livestrong Sporting Park. 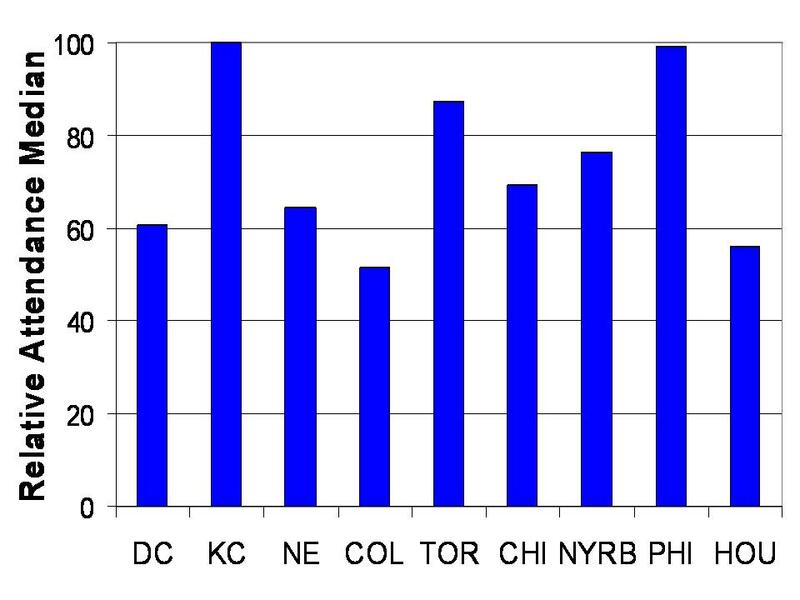 San Jose's numbers may seem inflated but this is because it chose to play at a larger venue for the New York match. Most interesting from the 2011-2010 plot is the fact that 8 teams are in the positive and 8 in the negative (Portland and Vancouver don't count as this is their first year in the league). Of the 8 teams in the negative only 3 are more negative than -1000. However, all 8 teams in the positive are above 1000. Nearly a billion dollars worth of investment. Probably more. That's what South American players currently taking part in Conmebol's Copa America are worth. Messi? Probably $100 million. Neymar? Asking price of $50 million? And yet, for all their might, promise, prowess and skill, they still could not overcome the region's two weakest teams: Bolivia and Venezuela. So is too big to fail really true when it comes to South American giants Brazil and Argentina? Well, unless the past couple of days were a particular fluke, it seems even great teams are vulnerable. And why not? On paper at least, Argentina is much weaker defensively. Their best defense is a good offense (pardon the cliche). In the back line is the aging Zanetti and the seldom-used Gabriel Milito. For Brazil there is no key number 10 right now. No Ronaldinho or Kaka. It is Pato and Neymar with Robinho calling the shots. Hopefully Neymar can do more than he did today because the Cariocas came out flat. The other hopefuls in this tournament are Paraguay, Uruguay and Chile. The latter two have yet to play. Uruguay has a deep squad fresh off their 4th place finish at World Cup 2010. Chile has no Bielsa this time they have their ace in Udinese's Alexis Sanchez along with the always-dangerous Suazo. Further down the line is a third group: Ecuador, Colombia, Peru, Bolivia and Venezuela. In no particular order. You might argue that Ecuador and Colombia should be in the second tier but their form in recent years relegate them to this side of the table. Of particular interest is the Caicedo-Benitez tandem Ecuador has and the Falcao-Rodallega from Colombia. Invitees Mexico and Costa Rica are, by Concacaf rules, allowed to bring their U-22 squads with up to 5 overage players. The idea being that this would serve as preparation for the Olympics 2012 qualifiers. So why the low scores? If anything that last year's World Cup taught us is that the first game tends to be overly defensive, disappointingly speculative and low scoring. It's not for lack of trying. Indeed, Argentina had their share of chances on Bolivia yesterday but the Altiplano team came up big with solid defense and by deconstructing the final pass from Messi. For Brazil it was a lack of ideas and group play. Venezuela countered by employing Bolivia's scheme. Crowd the middle of the pitch, close up the spaces for the short passes and play the counter. Neymar and Messi can be contained for only so long. Difference-makers like these are keen on small spaces to play the ball for a lethal shot or pass. They have the fantasy that we love to watch. The jogo bonito and the classic 10. This is why we pay so much to see them. This is why, after the first set of games are done, they will be nearly unbeatable. This is why they are too big to fail.